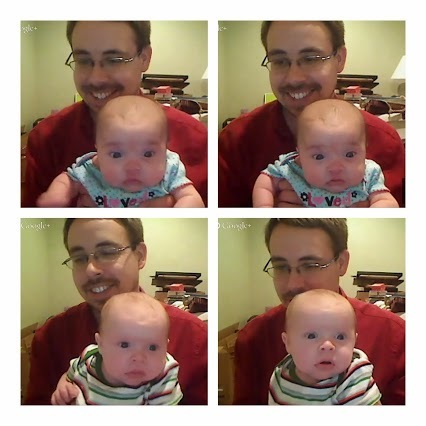 We had a chance to talk on Google Hangout tonight with Jason, Susan, Ted and Beth – well Ted and Beth didn’t do much talking but we did get to see them and they are growing so very quickly – becoming very aware of their surroundings! We are looking forward to when we are able to be with them again but this technology does help to satisfy the longings of grandparents. I took a few photos on Hangout and here’s a compilation. Beth is on the top – Ted on the bottom.